Guest Additions for Windows, Linux and Solaris. 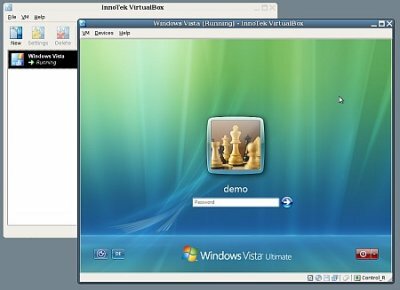 VirtualBox has special software that can be installed inside Windows, Linux and Solaris virtual machines to improve performance and make integration much more seamless. Among the features provided by these Guest Additions are mouse pointer integration and arbitrary screen solutions (e.g. by resizing the guest window). There are also guest additions for OS/2 with somewhat reduced functionality. Cистема виртуализации, для запуска и работы на одном компьютере нескольких виртуальных операционных систем, аналогичная VMware Workstation и MS Virtual PC.